Hello! 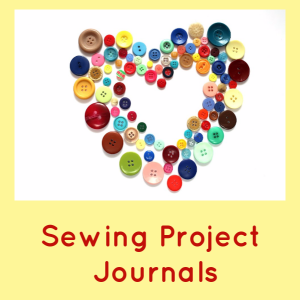 You’d like to learn how to sew and wonder where you can set up your sewing machine and other sewing supplies but do NOT have an actual dedicated sewing room, I’ll give you some ideas and tips to help you create a small sewing space. Where will you create your small but functional space to sew? The important thing is that you have a place to set your sewing machine-that’s it, that’s all you need! 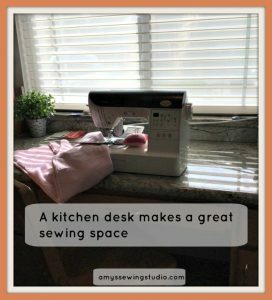 Maybe you were able to get an actual sewing machine table with your machine, that’s a great start to be able to create a small but cozy sewing space! Space in any room-such as a bedroom, family room, living room or maybe you have a spot in the basement. 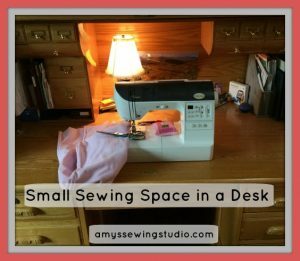 When I first started sewing, we lived in a ranch style condo and I used our executive desk for my sewing table. Lucky for me, this desk was HUGE! 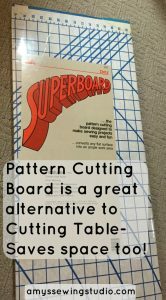 When I needed to lay out my cutting board, I took my sewing machine and sewing basket off the desk and opened out a collapsable cutting board. Closet- Do you perhaps have a nice big walk-in closet that might have space enough for a small sewing table or just a closet that you could put in a table and shelves up on the walls? Laundry Room- Maybe enough space to set up a table-I have tried this set up in our current house! Basement- This is ideal as this space hopefully is away from the daily hustle and kids being goofy. Kitchen Table-Just make sure it is clean before you use it for your sewing space! 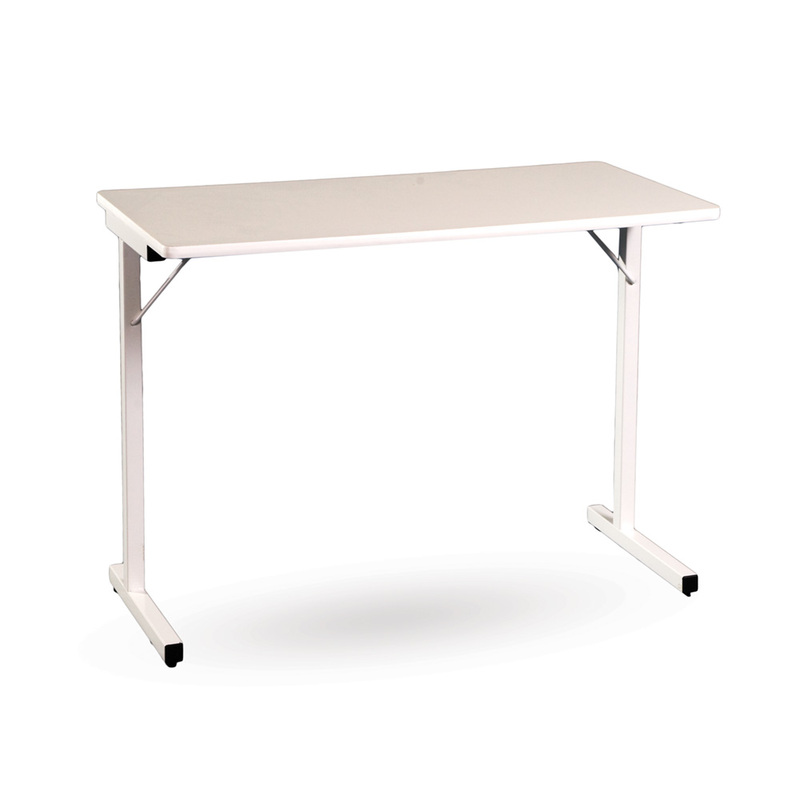 Any Space- Set up a card table or other portable table. Desk- A kitchen desk or any other desk makes for a great temporary sewing table. Outside Patio- If it is warm enough outside, why not enjoy the fresh air and sew outside. 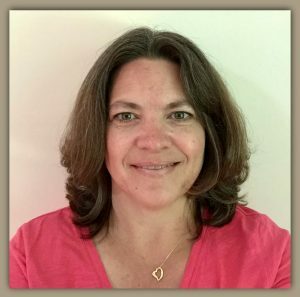 Clubhouse- Do you live in an apartment building or someplace with a community space? You could rent a room for an afternoon! Just a couple of places in my house where I’ve had my sewing machine. I LOVE my collapsable cutting table! The table has a skinny middle section that will hide the ‘table legs’ when collapsed and also has wheels so you can easily move the table where you need to; so I guess a bonus of being portable as well! I can use just the middle section for really small tasks, open up just one table side or both sides! 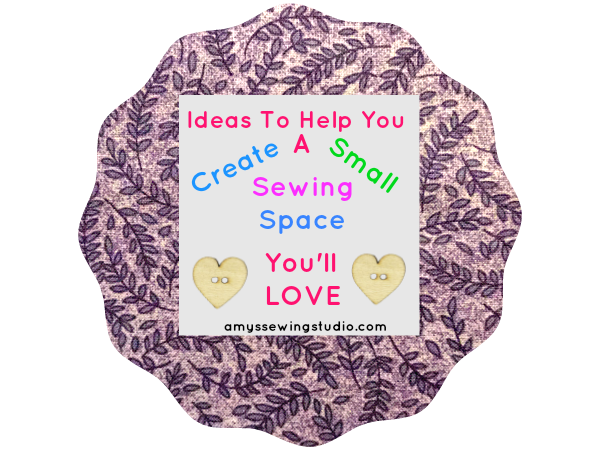 Have a dedicated small sewing space? 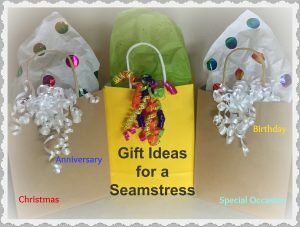 I have created a Small Sewing Space Pinterest Board to help give you extra ideas, enjoy! 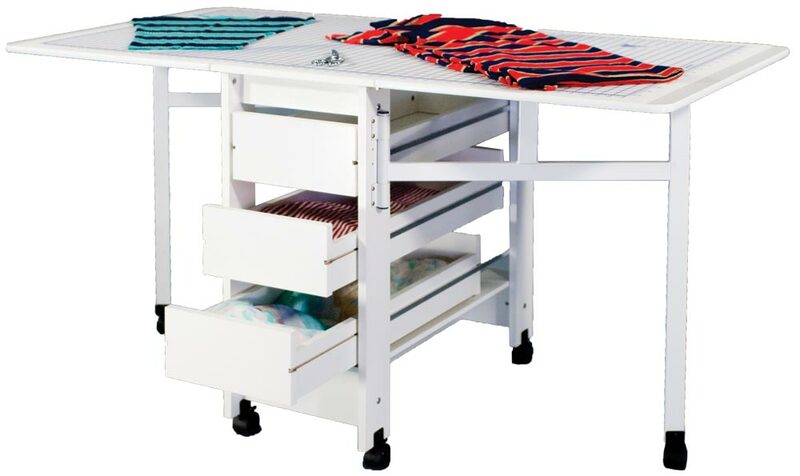 These tables are perfect for small sewing spaces, and are portable too! Sewing Baskets that have lots of cool compartments for storing all your basic sewing tools. Rubbermaid bins are an excellent storage idea. You can label the bin tops or you can get clear bins so you will be able to see what is inside. For fabric waiting to be used-use hangers to hang up your fabric and store in your closet. Bookshelves make great storage for sewing patterns, books and other stuff. 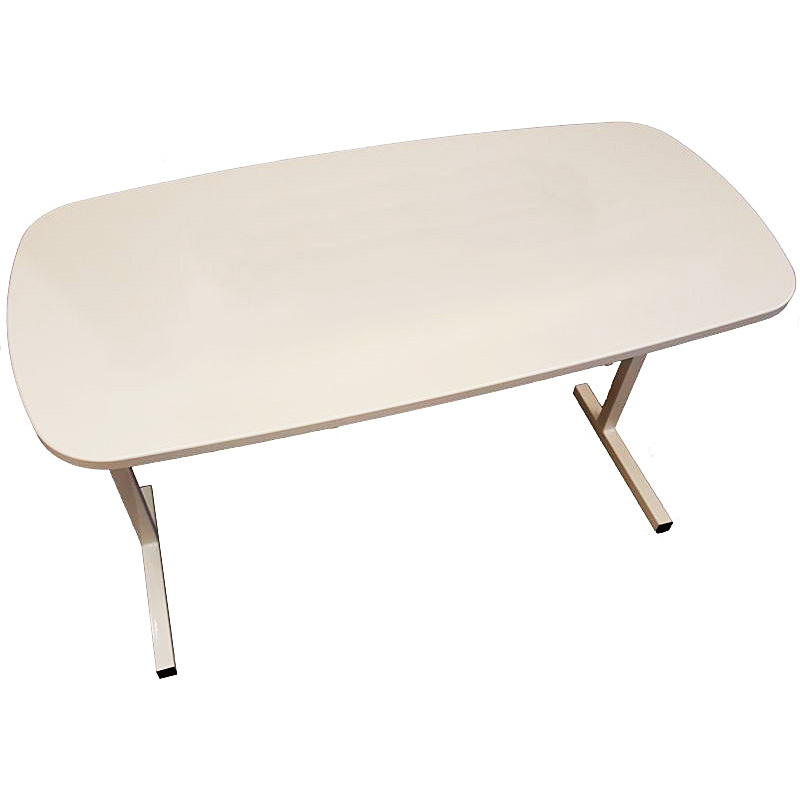 Portable tables can be easily slid in a spot next to or behind something or stored under a bed or in a closet. 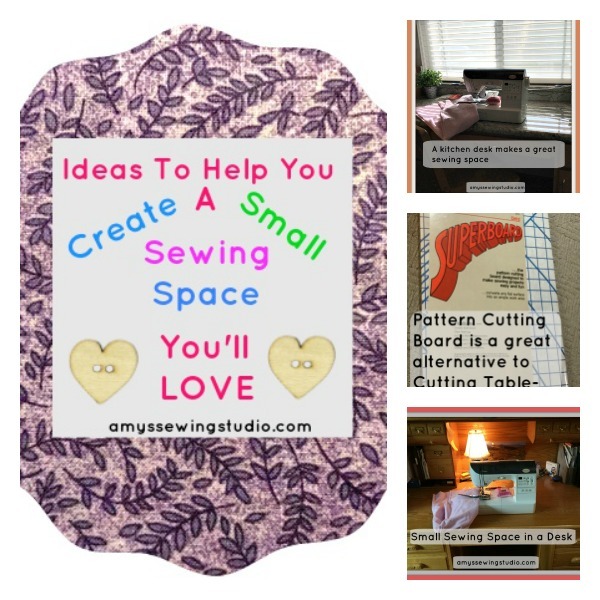 I hope you are able to take these tips/ideas and make a great small sewing space just for you!